Welcome to the Bethesda Methodist Chapel website. The present Bethesda Chapel building we all know and love will be 200 years old in May 2020. 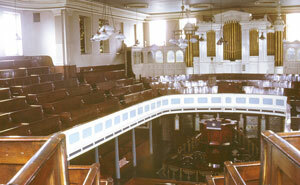 First built in 1798 to seat 600 people, the chapel was deemed too small in 1813 by the trustees so the back wall was removed and the chapel extended to seat 1,000 people. The fire of Methodism grew in The Potteries and by 1819 the chapel was again too small so the 1813 extension was pulled down and replaced by the extension we see today. At the reopening services (one in the afternoon and one in the evening) on 7 th May 1820 Bethesda was full to excess with the evening congregation being about 3,000. On 10 th May 2020 the Friends of Bethesda are planning to hold an 200 th Anniversary Service to celebrate Bethesda as it is today. Over the past four years the Friends of Bethesda have been raising money to allow Bethesda to have toilets again. Each year we raise money for the general up keep and maintenance of Bethesda but we felt that Bethesda needed toilets to progress. 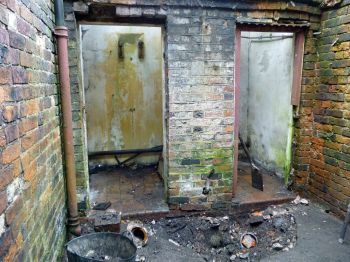 The original chapel toilets were heavily vandalised after the chapel closed in 1986. 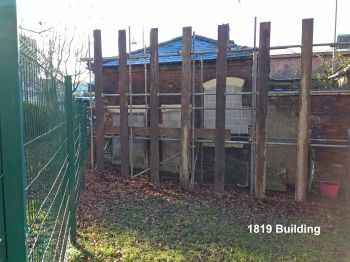 Plans were drawn up to use one of two 1819 outside buildings and a cost was worked out to install toilets in the smaller building. We rolled our sleeves up and got to work raising this money. We had a setback when gale force winds severely damaged the roof of the proposed future toilet building and nearly every penny we had raised was used to replace the roof. Though a big setback this didn’t deter us. 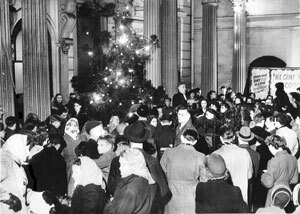 We held concerts both in Bethesda and elsewhere with the wonderful help of The New Victoria Theatre and The Potteries Museum and Art Gallery. In 2017 we found out about the City of Stoke on Trent Council’s Stronger Together Community Investment Fund and after talking to them we were told that we could apply for a grant from them. The total cost of the project is £74K and the grant we applied for was the maximum of £50K. We had the match funding but still fell a little short of the total cost but all our hard work in 2018 paid off and on 7th January 2019 work began to allow Bethesda Chapel to have its own toilets once again. The work is going along fine and should take about eight to ten weeks (weather permitting) making the project completed by April 2019. 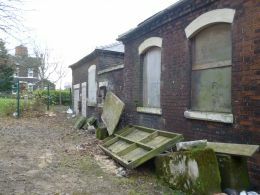 This will complete the first part of our plans to restore the outside buildings and put them in good use. Our hard work and fund raising will now carry on to restore the larger outside building. Saturday Sept 14 th – open 12 till 3.00. Open after Hanley Cenotaph Service. The Friends of Bethesda thank all the above entertainers for their support during our Open Days. Free admission, but a donation towards the restoration would be appreciated. to build a First World War Centenary Exhibition. The Friends of Bethesda Chapel in Albion Street, Hanley, Stoke on Trent have received £5,000 from the Heritage Lottery Fund (HLF) to research the lives of the 274 men named on their WW1 Rolls of Honour and known as Bethesda Our Boys. Awarded through HLF’s First World War: then and now programme, the exhibition will focus on telling the story of the lives of the Bethesda Our Boys. To mark the Centenary of the First World War, the project will tell the story of as many of the Bethesda Our Boys as possible from where and when they were born and grew up to where and when they enlisted, where their regiment fought, when they returned or died ending in what happened to them after the war ended. All the Friends research will be used to build an exhibition inside the chapel to enable local people to preserve the memories and heritage of the people who lived through the First World War. The Friends of Bethesda will collect photographs, newspaper clippings, documents, letters and photos of keepsakes, as well as family tales passed down to help build a picture of Bethesda’s roll in the local community during World War One. This unique project has never been attempted before and the information gathered will be digitally recorded and placed on the Bethesda Chapel website (www.bethesda-stoke.info) where anyone can access and contribute information via our “Memories” link. The full research will also be offered to the Stoke on Trent City Archives for public family history research and to regimental museums for their records. The Friends of Bethesda would like to thank Stoke on Trent City Council and the City Centre Partnership for all their help and encouragement. Phase Two of the restoration of Bethesda Chapel is now completed and the chapel is open again to visitors. The Friends of Bethesda welcome organised visits to the chapel by established groups and schools. Prince Charles & Camilla visit Bethesda Methodist Chapel. THE PRINCE of Wales visited Stoke-on-Trent on 19th Feb 2010 to celebrate the 100 years of the federation of the six towns. 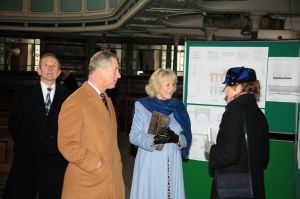 Prince Charles and the Duchess of Cornwall arrived to visit key sites and meet people across the city. The Royal visit took in the Potteries Museum and Art Gallery, Bethesda Chapel and Emma Bridgewater factory in Hanley, as well the Kings Hall and Civic Centre in Stoke and Dudson factory in Tunstall. Please feel free to view our image gallery of this event and to read a short account of their visit written by Fred Hughes, Chairman of the Friends of Bethesda. Historic Chapels Trust and the Friends of Bethesda have been given permission to restore the outer buildings and convert them into a toilet block and meeting room. A schedule of work has been drawn up and a broad estimate of £40,000 has been suggested. HCT and the Friends are now making every effort to raise this money and any help would be appreciated. The Friends of Bethesda feel that we can open the chapel more often and for greater uses if their are toilets. If you think you can help with this project in any way (donation of money or building materials), please let the Friends group know. We have run a series of monthly “Open Days” from September 2007 – please see “Events” and “Open Days” sections for details of proposed opening arrangements in 2016. 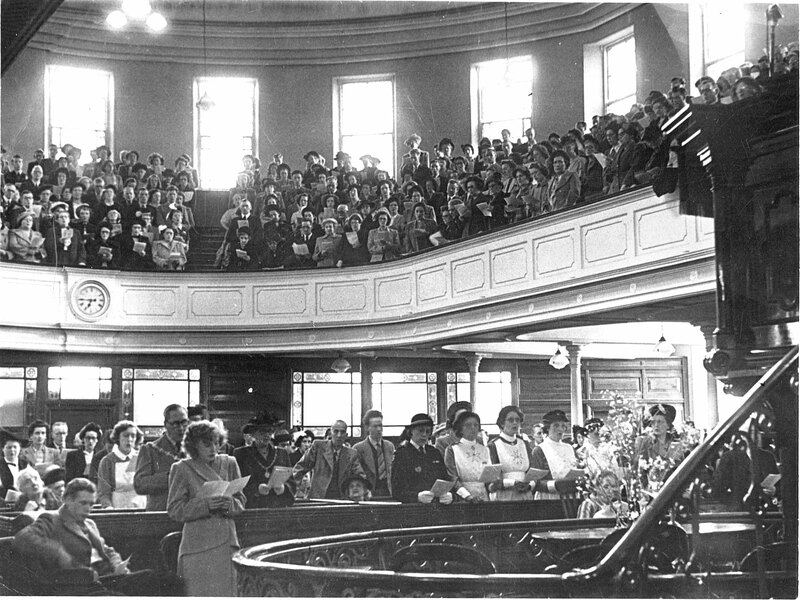 This website is dedicated to the Historic Chapels Trust's proposal to restore the Bethesda Methodist Chapel in Hanley, Stoke-on-Trent, and make it available for a wide range of uses. Bethesda Methodist Chapel is one of the largest nonconformist chapels outside London. It is reputed to have seated up to 2,000 people. Many people have fond memories of Bethesda and want to see it restored to its former glory and open again to the public. On this website you will find information about the building's history, the plans for restoration, how you can help and how you can get in touch with the Historic Chapels Trust and our local supporters' group. 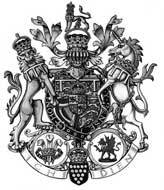 Funding for the creation of this website has been provided by the Heritage Lottery Fund. 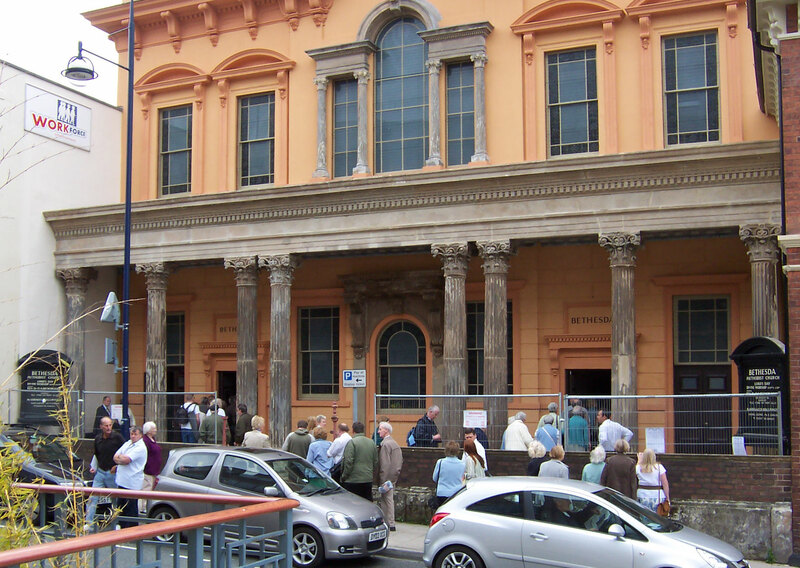 The Heritage Lottery Fund, English Heritage, North Staffordshire Regeneration Zone and Stoke-on-Trent City Council also provided financial support towards the first phase of repairs. Funding for the second phase of repairs has been provided by The Heritage Lottery Fund, English Heritage, a range of other grant giving trusts and private individuals. 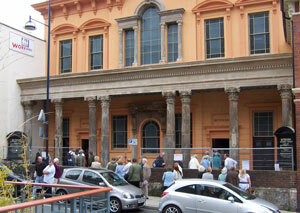 The Friends of Bethesda have also raised £17,000 towards the phase II repairs. Coming shortly on the website... a series of photos depicting the phase II repairs as the works progress. Buy a mug to help our funds! Tristram Hunt, new Stoke on Trent Central MP, visits Bethesda Saturday 3rd July 2010. February 2010: Prince Charles and the Duchess of Cornwall visit Bethesda. September 2007: Phase I of the restoration works has been completed, and for the first time in twenty years the public can enter the building (click on the photo for a bigger version).